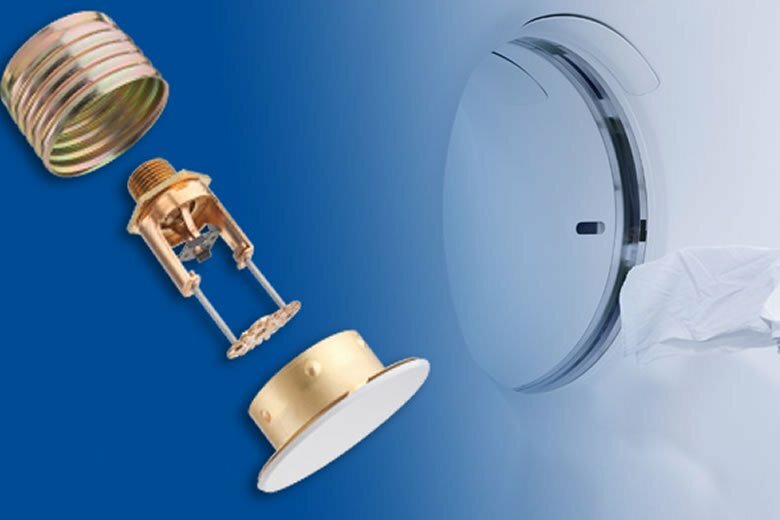 The TYCO® RFII-MRI 5.6K concealed pendent sprinkler is a quick response sprinkler offered in both standard and extended coverage models. This non-magnetic sprinkler is intended for use inside MRI system rooms. The sprinkler was tested up to 7 Tesla (measurement of magnetic field strength), allowing it to withstand more than twice the magnetic strength of standard MRI apparatus, which is typically 3 Tesla. The RFII-MRI sprinkler joins the RFII and RFIII family of TYCO® flat plateconcealed sprinklers and helps complement healthcare facility projects with an extended coverage option designed to protect standardized MRI rooms with fewer sprinklers than standard coverage sprinklers (up to 5 fewer sprinklers).